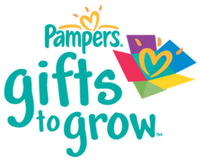 If you collect Pampers Gifts To Grow points, Here's a code for 10 Points: AUG2010FACEBOOK. If you're not signed up for Gifts To Grow, you can sign up HERE. Every new member gets 50 points for signing up, and you get 10 points for each referral. The rewards you can get are pretty cool. They include products from Shutterfly, Magazine Subscriptions, Gift Cards, & Toys For Baby.